He is also a member of reunite International Child Abduction Centre, recognised as the leading UK charity specialising in international parental child abduction and the movement of children across international borders and IACP the International Academy of Collaborative Professionals, an international community of legal, mental health and financial professionals working in concert to create client-centered processes for resolving conflict.  Bertus has earned a deserved reputation as a leader in the family law legal industry in South Africa and was named in 2015 by ACQ5 as Family Law Attorney of the year in South Africa. He has been quoted on Family Law issues in various newspapers such as the Sunday Times and Business Times and magazines such as Noseweek, Keur, Sarie, Living and Loving, Longevity, You and Huisgenoot, and also appears frequently on the SABC television show Expresso and 3 Talk. He also appeared on the Morning Live Show of SABC2, on RSG, SAFM, Cape Talk and the 5FM Breakfast Show with Gareth Cliff. His clients include artists, celebrities, sports people and high net worth individuals. He is also qualified to appear in the High Court, the same as an Advocate.